Some people think that all there is to dreidel is picking one up, spinning it haphazardly and waiting to see how it lands. Well, those idiots only play during Hanukkah and lose their sweaters to more seasoned players. Our final collection was inspired by those who want to take their game to the next level, go to Dreidel Academy and learn how to get that gelt. From left to right: Candledrip, Gimmelman, Spinmaster, "Thank You, Come Again," and the official Dreidel Academy t-shirt. Dreidel Academy was unanimously ranked the premier dreidel institution in the world by an impartial (and international) panel of professional spinners. 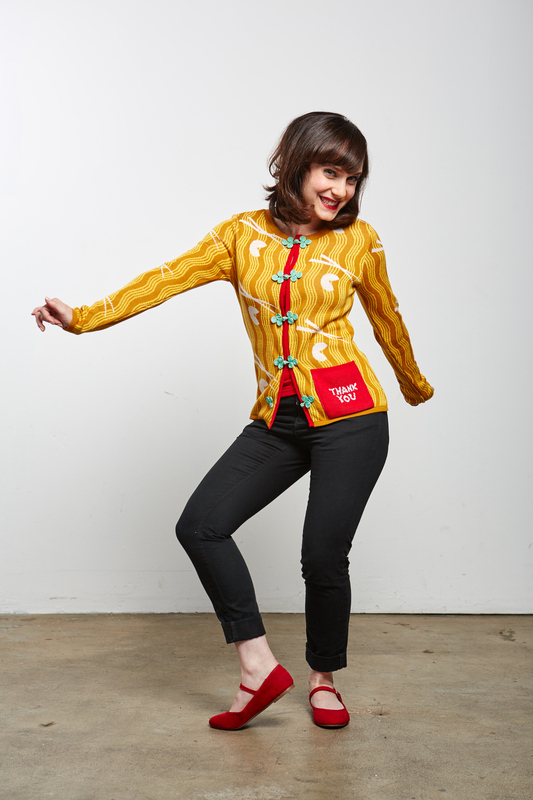 "Thank you, come again" was our very first JEWISH Christmas sweater, celebrating our favorite Yuletide activity, eating Chinese food.